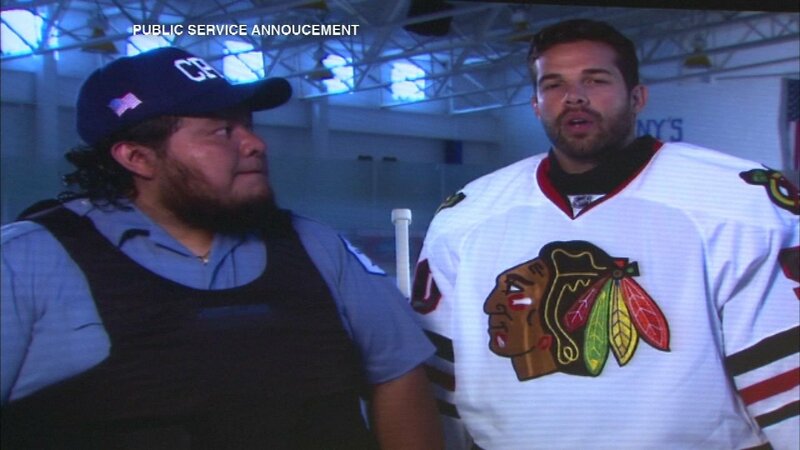 CHICAGO (WLS) -- Blackhawks player Corey Crawford and his team are helping to raise money to buy Chicago police officers bullet-proof vests. The public service announcement launched the "Get Behind the Vest" campaign. Officers need new vests every five years because of wear. Sometimes the vests are not replaced due to cost. So far, money has been raised for 6,100 vests. The goal is 8,000 vests.